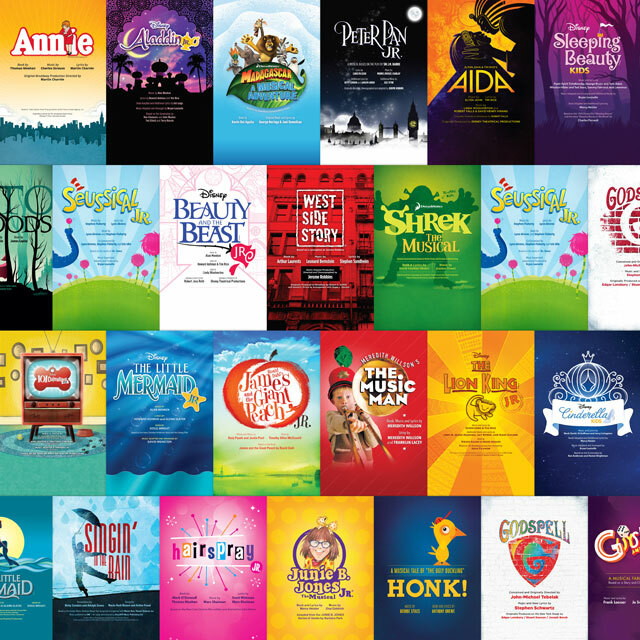 It's been nearly a year since MTI teamed up with Subplot Studio to offer show posters featuring beautiful, eye-catching designs that can be customized online in minutes…and so far the response has been INCREDIBLE! To celebrate the anniversary of the partnership, we're offering 10% off your next Customizable Show Poster or Design Bundle. We now have over 60 titles available (with more being added every day), so you can save time, money and get on with the important business of producing a show. Note: Additional poster prints in 22" x 34" and 33" x 51" sizes can be ordered in any quantity.